Levels & Testing: Testing will be conducted 4x over the year, including summer. Children must be enrolled for a minimum of 8-10 weeks prior to testing weeks in order to be evaluated and receive a report. All others will receive a progress report. New! When your child advances past a level, they may enroll in a new level at any time in a class with room and at no charge! Testing Weeks are found on our calendar. See testing weeks here! Gymnastics provides a variety of challenges involving the entire body and the mind, while developing character traits that will help participants throughout their entire lives. 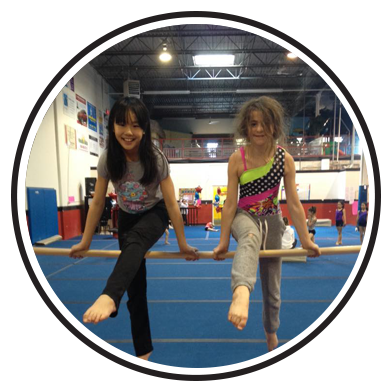 As it develops balance, coordination, flexibility and strength, gymnastics is considered the foundation of all sports. It also compliments every sport and helps your child be the best they can be! Start here if your child is 6 yrs + and has never done gymnastics before, or if they have graduated from Tumblin’ Tigers or Advanced Tumblin’ Tigers. This is where they will begin their journey through the CANGYM level system. 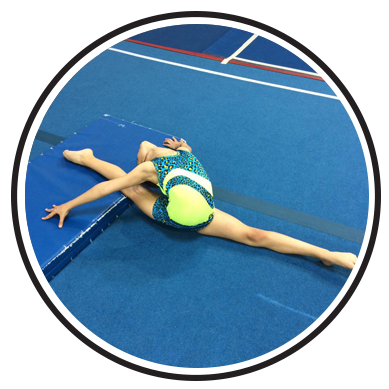 This introductory class will teach and/or review the necessary basics of warming up and beginner gymnastics on all events in a fun, safe manner using logical progressions. This program introduce your child to learning gymnastics with proper technique. Recommendation: 1 or 2x per week. This program is designed to continue developing strength, including full body support, flexibility and more skills. Participants will be introduced to new gymnastics skills on all Olympic events, learning elements such as handstands, cartwheels, bridges, and more! This program improves coordination, flexibility, strength and balance! This is a progressive program with an ‘advanced style’ approach designed to develop skills at a faster pace. It involves increased emphasis on conditioning and flexibility, specific technical details for skills such as walkovers, round offs and more. The expectations are higher in this program. Please note: it may take more than a few testing periods to advance through these higher levels. Participants will gain self-confidence through hard work and achieving skills! 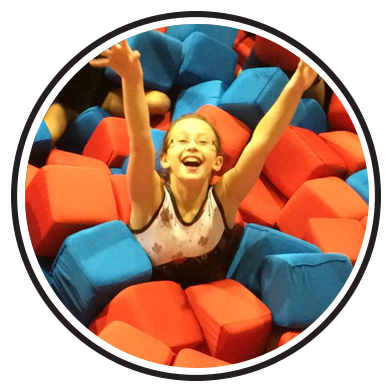 This ‘extra advanced’ program, by coaches’ recommendation only, is designed to develop skills such as walkovers, handsprings, round off back handsprings etc. Greater emphasis will be placed on conditioning and is centered on learning more advanced skills in the CANGYM level system, at a faster pace. 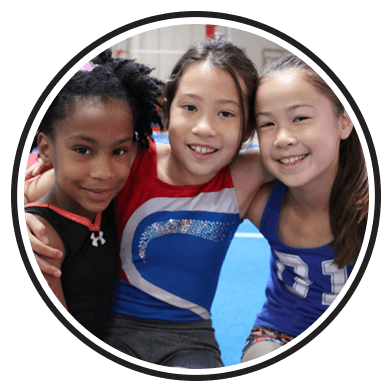 Gymnasts will learn Junior Olympic routines and participate in a mandatory, ‘fun’ recreational competition hosted at our facility, giving these gymnasts the ‘full gymnastics experience’. This program will teach your child to work hard towards their goals and may lead to our competitive program. This program is similar to Gymstars except it is a 3 hour program. This allows for more time for warmup, conditioning, refining, polishing and skill development. 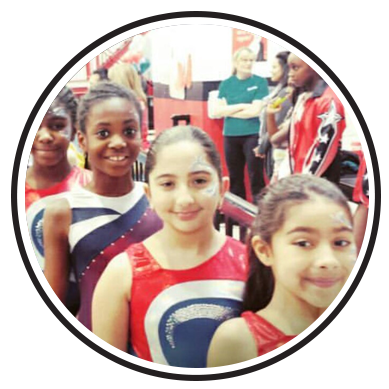 Super Gymstars will learn routines from the Junior Olympic program and will participate in the mandatory, fun, recreational competition hosted at our facility. This will give these gymnasts the ‘full gymnastics experience’. This program may lead to our competitive program. Looking for a fun activity to keep fit, spend time with friends, learn new skills or as extra practice? Open Gym is for you! No commitment required! This program is for ages 8yrs+ and all levels. Trampoline! Conditioning! Flips! Other than a mandatory warm-up, classes are unstructured but always supervised by a qualified coach. This format allows participants to choose the equipment and skills they want to work on, at their level of ability of course. Visit the office to purchase your Open Gym 10 Class Pass today!